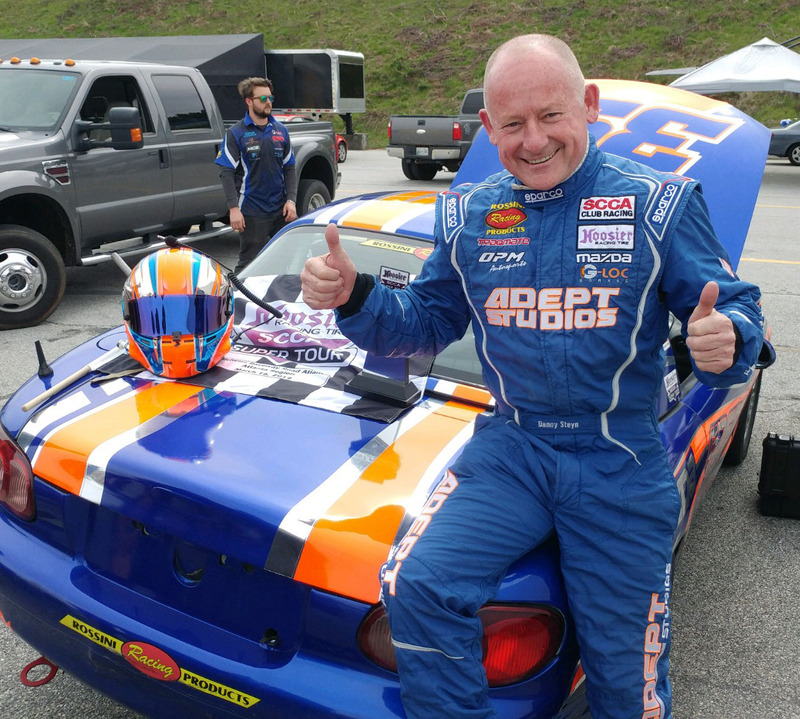 Danny Steyn wins the fastest Spec Miata Race EVER at Road Atlanta! 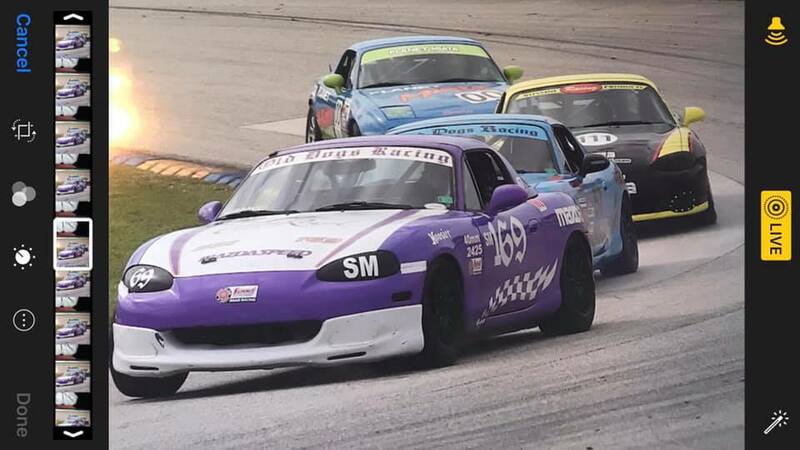 Home / Years / 2019 / Rossini drivers excel in the fastest Spec Miata Race EVER at Road Atlanta! 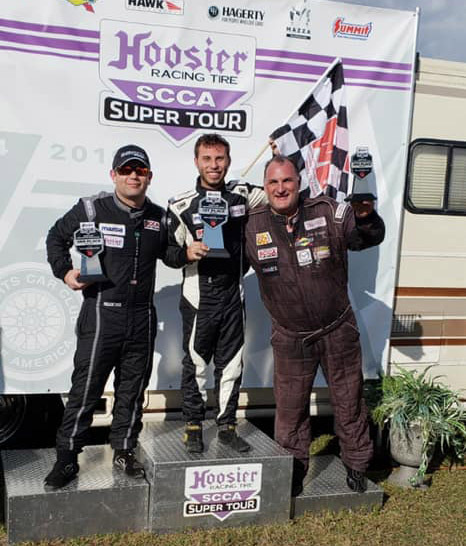 The third round of the nationwide Hoosier Super Tour took place at Road Atlanta this past weekend in mixed conditions. 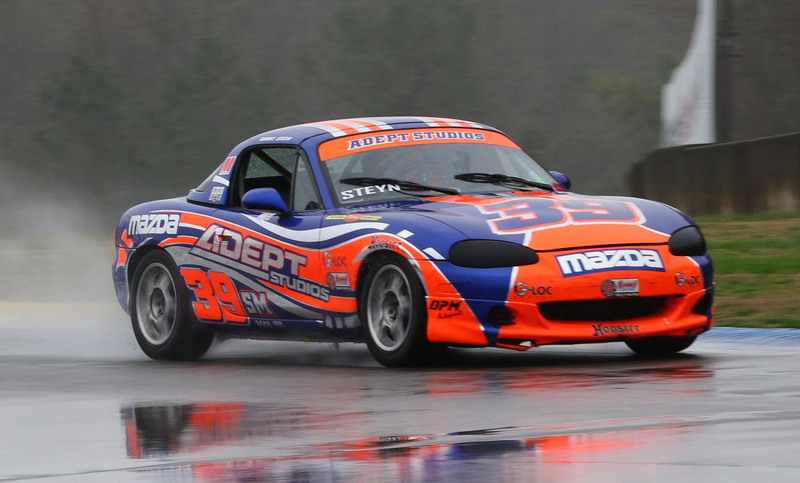 The Thursday test day was cold and wet and several of the qualifiers on Friday were run in wet and damp conditions. 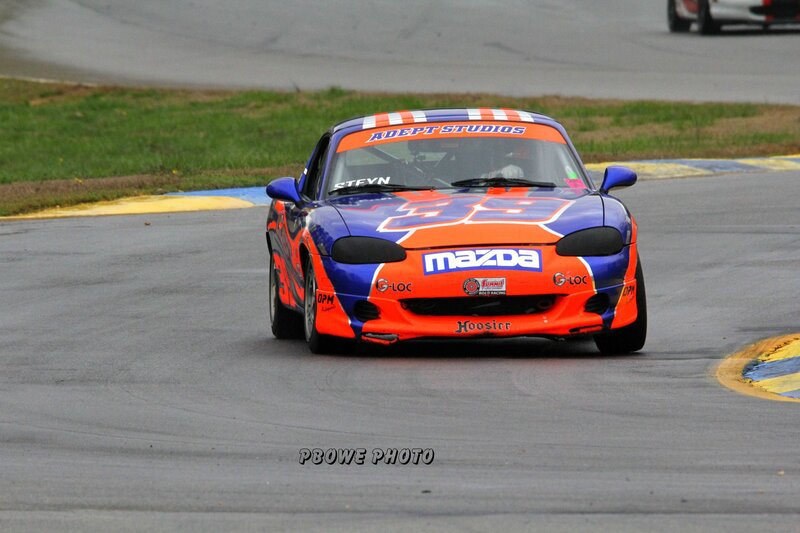 In the first Spec Miata Qualifying session, on a damp but rapidly drying track, Danny Steyn was the early front runner, but during a Full Course Yellow, Tyler Kicera made the change to dry tires, and ended up beating Steyn who was still on wets, by two tenths to get the provisional pole. 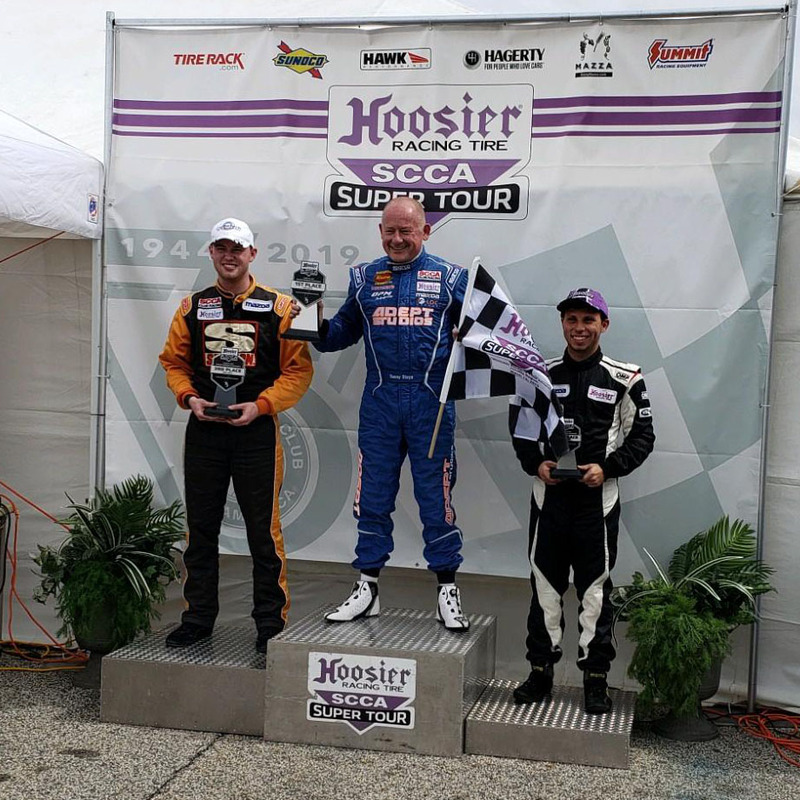 Preston Pardus was in third, a further two tenths behind Steyn. 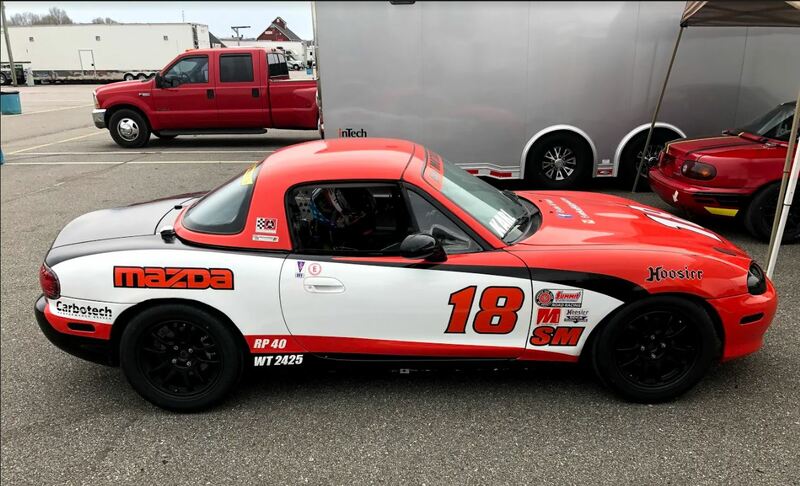 Saturday’s qualifying session was held in cool conditions on a dry track, and this time Steyn sealed the deal with the fastest Spec Miata time ever run at Road Atlanta, qualifying on the pole with a 1:41.220. Jared Thomas was 2nd, and Jim Drago in third. 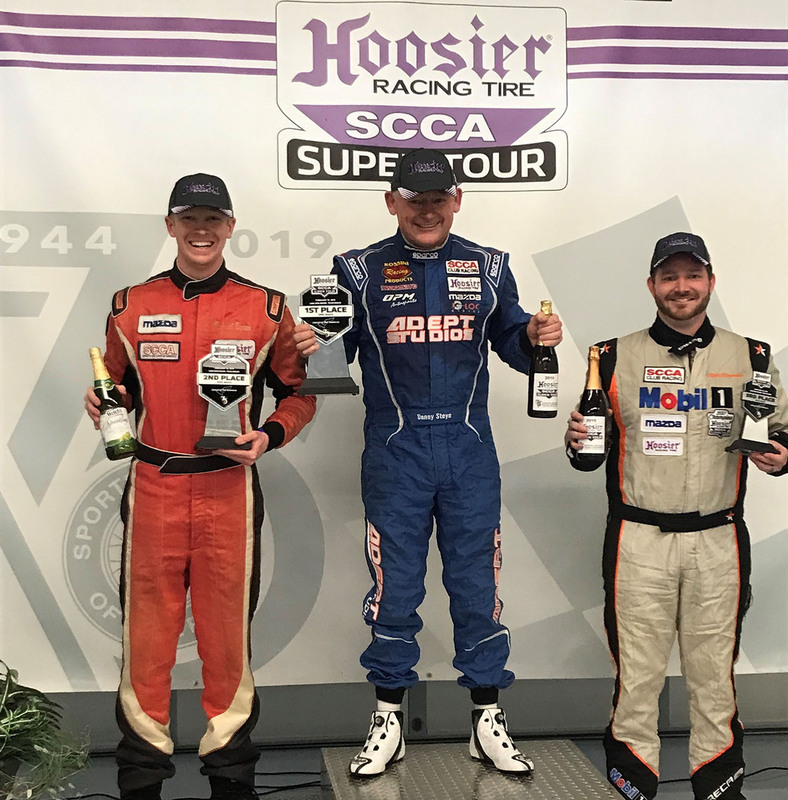 In Race 1, Thomas moved to the lead through turn 1, and Steyn pushed Thomas for the first seven laps to try and make it a two-car race, but Pardus and Drago held on. Eventually Drago fell back leaving Thomas, Steyn and Pardus to battle it out. 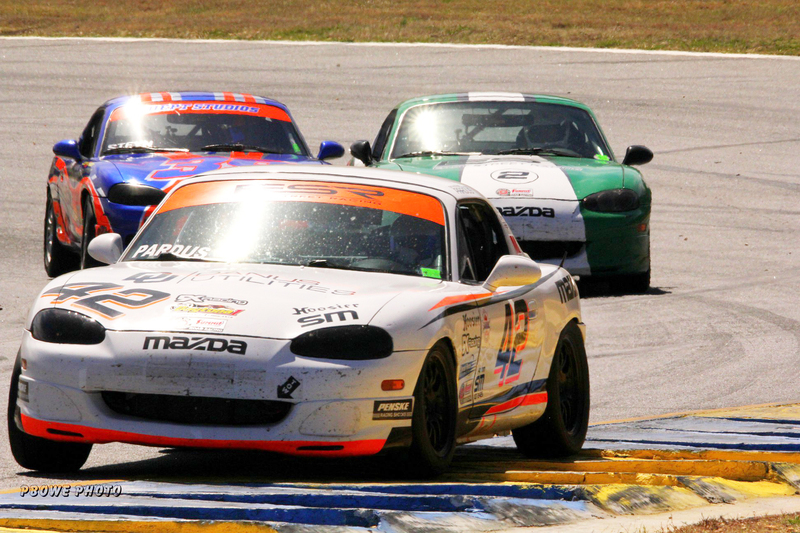 The three were running consistent times in the 1:42’s making this the fastest Spec Miata race ever run at Road Atlanta. Steyn got the win, Thomas 2nd and Pardus 3rd with Drago in 4th. In the race, Steyn was the first to break the late John Carter’s lap record, but he only held it for two laps before Pardus lowered it further to a 1:42.464. The front row of the grid didn’t change for Race 2 with Steyn on pole, Thomas 2nd, but based on the race times, the second row reversed with Pardus starting in 3rd and Drago 4th. In Race 2, Thomas once again passed Steyn on the outside of Turn 1, and Steyn slotted in behind him. 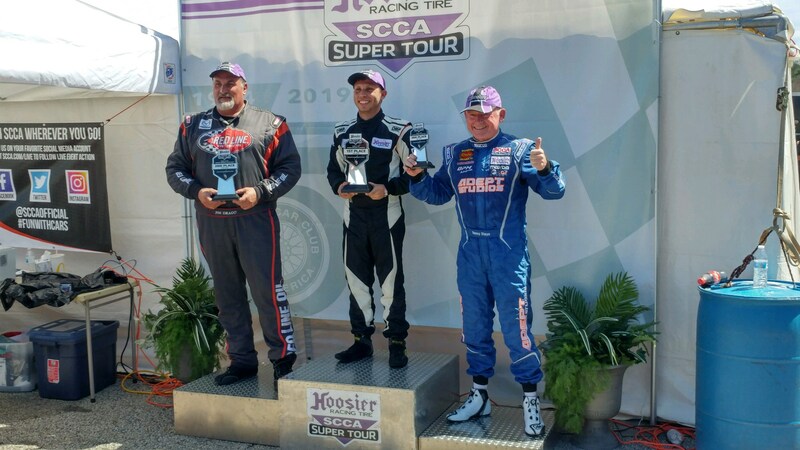 Once again Steyn and Thomas tried to break away but this time the pack was able to maintain contact and the top 6 drivers including Chris Haldeman and Kicera were line astern. Haldeman worked up the field, past Drago and Pardus and with Drago’s help moved past Steyn into Turn 6 and now Steyn was on Haldeman’s bumper and pushed Haldeman into the lead which he held for two laps. 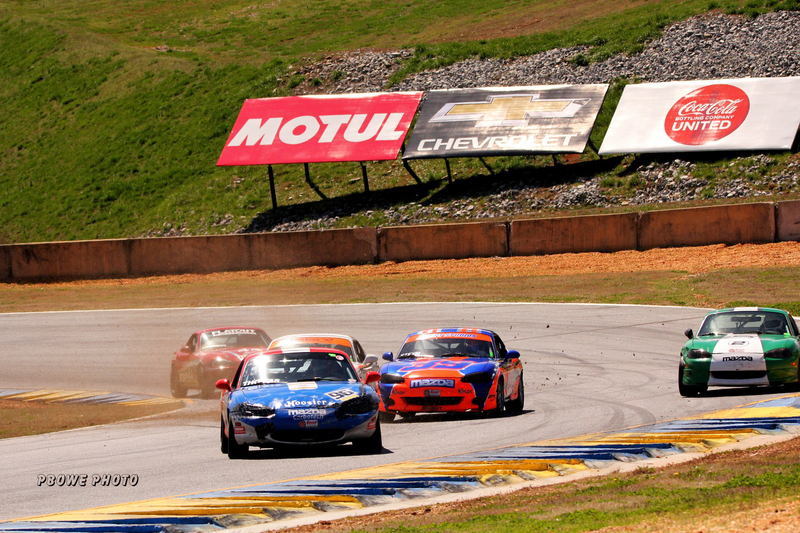 Unfortunately, Haldeman had hurt his tires getting to the front and slid sideways in front of the pack exciting turn 7, Steyn couldn’t avoid him and Haldeman ended up in the wall. From then on it was an intense battle with Thomas, Steyn Drago and Pardus. Eventually Thomas went too deep in 10A and Steyn had to check up allowing Pardus and Drago past. Steyn stayed on their bumper to the end, but Pardus hung on for the win with Drago 2nd and Steyn 3rd.